This week we have interviews with Youth/Young Adult Dressage Sport Horse Breeders Seminar presenter Kevin Reinig, and participants Nila Venkat, and Bree Kenney. We also start a new series on the mind/ body connection with Sandy Venneman PhD. Kevin Reinig, Rancho Murieta, CA, and his wife Ericka started their breeding, training, and sales business KEFA Performance Horses in 2003. Kevin has served on the executive board of the California Dressage Society for six years and has been the president since 2013. This week USDF's Competition Department Manager Krystina Wright joins us to talk about the US Dressage Final presented by Adequan®. 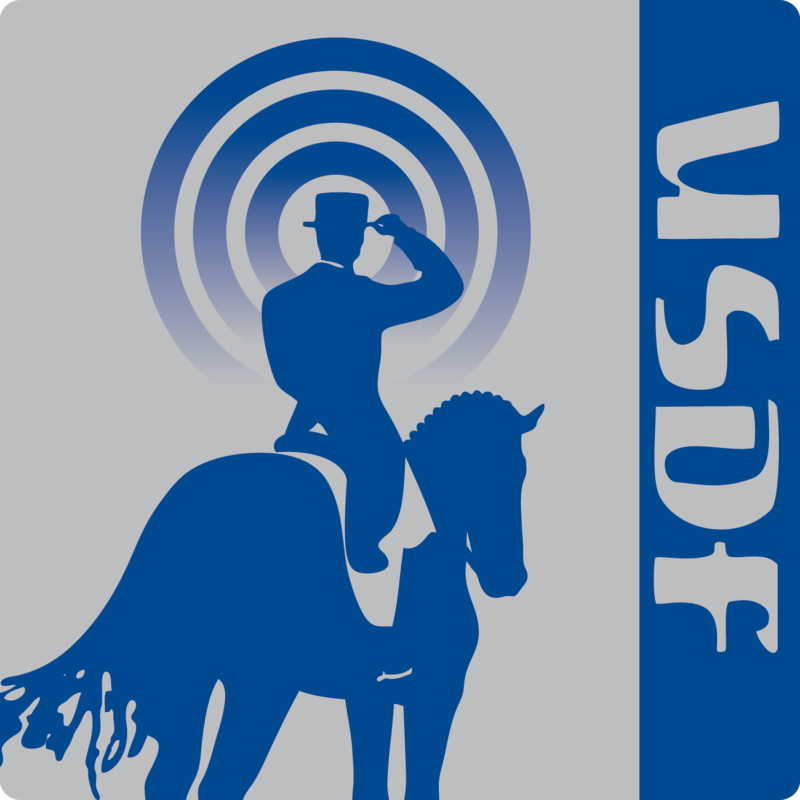 We learn about embryo transfer from Dr. Karen Wolfsdorf, and in our education segment, we have part 2 from the 2015 USDF Sport Horse Prospect Development Forum. Dr.Karen Wolfsdorf, Lexington, KY, graduated from the University of Florida in 1992. In 1996, Dr. Wolfsdorf joined Hagyard Equine Medical Institute as an Associate and in 2002 she became one of the first two woman Members of the Practice. Dr. Wolfsdorf’s main area of interest is infertility in the mare and problems during pregnancy. She spends her time working as a field veterinarian and as a specialist at the McGee Fertility Center. Dr Wolfsdorf has authored many chapters on equine reproduction as well as lectured worldwide and published research. 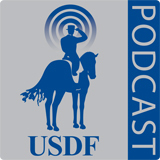 In this episode, we recap the 2016 Rio Dressage Olympic results; we get to know the 2016 USDF North American Junior/Young Rider Dressage Championship presented by Gotham North triple Gold Medal winner Nicholas Hansen and hear from Erin Bell, Colin Gaffney, and Noel Williams; three young USDF members who attended both of the new USDF Sport Horse Youth Programs. Christine Smith is the owner of Wildest Expectations Farms, where she breeds, trains, shows, and sells Selle Francais, Danish, and Oldenburg Warmbloods. Christine was a presenter at the inaugural USDF Youth Dressage Sport Horse Handlers/Breeders Seminar, held at Dressage at Devon in 2015. Gerhard Politz of Glendale, CA is a member of the USDF Instructor Trainer Committee, a USDF Certified Instructor Trainer Examiner and a USDF Bronze,Silver and Gold Medalist. Cyndi Jackson of Glendale, AZ is an FEI Level coach, trainer and competitor. She is a USDF L Education Program Graduate with Distinction and aUSDF Bronze, Silver and Gold Medalist. Michael Bragdell of Colora, MD is the Head Trainer at Hilltop Farm, where he trains and presents young horses in-hand and under saddle at breed inspections and competitions. Michael is also a USDF Certified Instructor through Fourth Level and a USDF Bronze, Silver and Gold Medalist. Kristi Wysocki of Elbert, CO is a USEF ‘S’ Dressage and ‘R’ Sport Horse Judge and a FEI 3* Dressage and 4* ParaEquestrian Judge. Kristi is also Chairof the USDF Sport Horse Committee, a USDF Certified Instructor through SecondLevel and a USDF Bronze, Silver and Gold Medalist. Michael Bragdell of Colora, MD is the Head Trainer at Hilltop Farm, where he trains and presents young horses in-hand and under saddle at breed inspections and competitions. Michael is also a USDF Certified Instructorthrough Fourth Level and a USDF Bronze, Silver and Gold Medalist.